Home Rant Reaction to Vlogger @LaSizwe Being Labelled "Not Funny"
Reaction to Vlogger @LaSizwe Being Labelled "Not Funny"
I wanted to respond to a tweet on this but 140 characters were just not gonna be enough to properly convey the statement I wanted to make on this issue. So, Instagramer LaSizwe got verified on Twitter and people lost their minds! 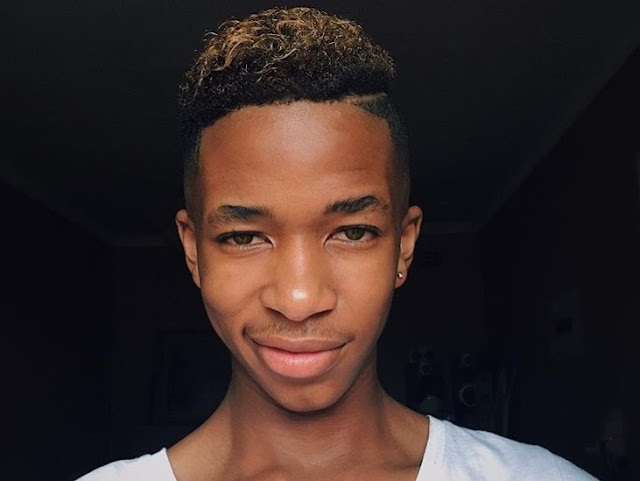 18 year old Thulasizwe "LaSizwe" Dambuza has made quite an impression in South African social media community in the last year. Love him or hate, you can not take that away from him. With 134k followers on Facebook, 10k on Instagram and 14k on Twitter he has clearly found an audience — if all those followers are engaged with his content. With some attention of course comes the issue of not everyone liking what you putting out there. Today I came across some tweets that were aimed at Lasizwe being verified and some people expressing that they do not find him funny and do not think he deserves the attention he is getting. It would be easy to just label people as haters for not jumping on a band wagon but I believe in that haste to dismiss critics as haters we often miss a very important lesson for us as a creatives. While I will admit jealousy and trolling exists, there is also a fair share of constructive criticism on Twitter and social media at large. I dont know much about this young man so when I saw the tweets and looked him up I was able to see why some of his content may put some people off. Right off the bat let me tell you; his comedy and content in general is not for me. I think he appeals more to a younger audience. And there is nothing wrong with that. If kids find him funny, you at 30 have no cause in calling him not deserving of recognition. From a career perspective, I came a cross an article on SowetanLIVE where Lasizwe spoke of being related to Khanyi Mbau (they share a father) and how he believes the industry is not embracing him because of hi gayness. To that I can offer an opinion. Given his age and coming into the industry via social media I think there is an element of naiveté in him about this industry. Just because you believe you are popular because of social media, it does not mean the industry will see you the same way. What piqued my attention in that article is his assertion that his gayness is the hindrance to acceptance in the industry. He reportedly said the entertainment industry was not very welcoming because of his sexuality and that, because of it, he does not get gigs. "If it's not my gayness, it's my age. People like what I do but will not hire me because of my sexuality." he is quoted. Firstly, whatever happened to people building careers first before expecting recognition. It is still way too early, in my opinion, for this kid to be complaining about the industry. He still has a long way to go and if he cant take a little reject now, then he is in for a very rude awakening later. The other thing for me is that, at this point Lasizwe has packaged himself as a joke NOT a comedian. Sounds harsh but bear with me. Putting out videos on Instagram and doing ridiculous stunts to get attention is one thing [to attract an audience], building a career as a comedian is another. From what I gather, the only engagement this kid has with the industry is via his social media platform. What has Lasizwe done to ensure that he is attractive to potential employers and clients? Does he have a manager who can pitch him to potential employers? What is his work about? In the comedy community where does he fit in? What's his motivation? I say this with an understanding that this is just a kid. He will make mistakes but I still gotta say it: You dont just get on stage or into ad campaigns just because you funny. Successful comedians have an identity and focal point for their work thus they are able to be booked for brands that can align their identity with the brand messaging. There are 100s other funny vloggers out there, what separates Lasizwe from them. He needs to find that, package it and then he will get gigs. He seems to be more interested in doing character comedy. There is a niche there. Beside Leon Schuster, Mark Lottering and Evita, there are not many character comedians in SA. He is young and can be a new generation of that genre but he has to be professional about it and get representation. So, Lasizwe, it is not because you gay that you not getting gigs, you have to work for that coin! And your fans have to know that not everyone is going to find you entertaining and that is ok.
We have to stop thinking and riding on this 'haters' nonsense when we could actually just pause, try and understand where the criticism is coming from and take what is useful and use it to better our craft. Now go on with your funny self and coin it! I have been made aware that subsequent to the gay statements attributed to LaSizwe on the Sowetan article, he had an interview with IOL refuting the claims that he is not getting gigs because he is gay. I read the article and am sharing the video below but will not amend the post above as the context is more about advising LaSizwe to not get caught up in the hype, find his niche in the comedian community and to just not believe every criticism is meant to ruin his career. I think the advice still stands.